Ten minelayers were employed by the U.S. Navy during the laying of the North Sea Mine Barrage. Four of them were converted from freight steamers that had been built in 1899-1901 by the Newport News Shipbuilding and Drydock Company for the Southern Pacific Steamship Company. Their designs were essentially identical, and similar to those of older ships that had entered the Navy in 1898. All four were later converted to transports and used as such to return troops from Europe to the U.S. during 1919. Two more were converted from coastal passenger steamers built for the Old Dominion Line in 1899. They were not used as transports after the war. Of the remaining four, two were old cruisers converted to minelayers before the war and two were converted ships that were retained in the postwar Navy as CM 3-4. This page features a table (with links to individual ships) of World War I era U.S. converted minelayers that had originally been built for the Southern Pacific Steamship Company and the Old Dominion Line, plus one photograph of each ship in each group. Click the small photographs to prompt a larger view of the same image with a descriptive header. 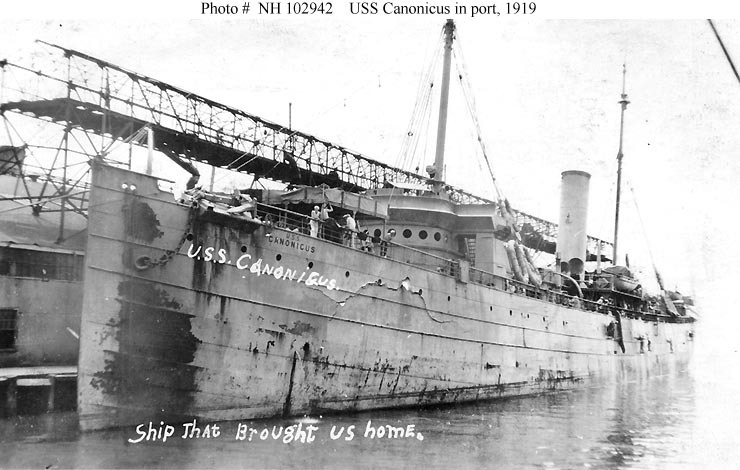 Canonicus, USN 1918-1919 (ex-American S.S. El Cid, 1899). 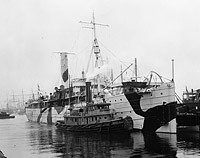 Canandaigua, USN 1918-1919 (ex-American S.S. El Siglo, 1901). 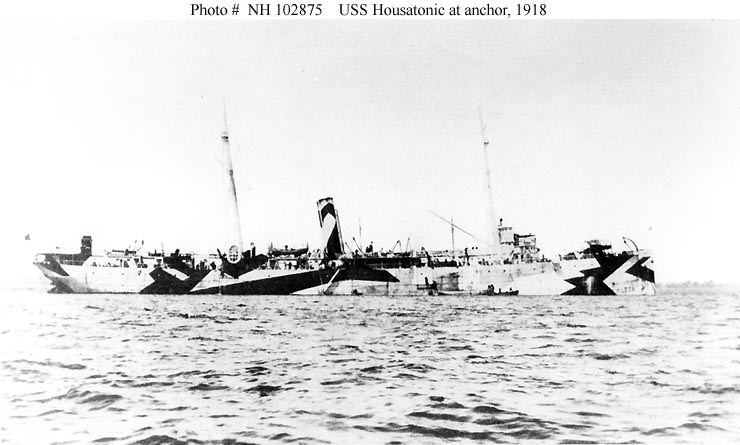 Housatonic, USN 1918-1919 (ex-American S.S. El Rio, 1899). 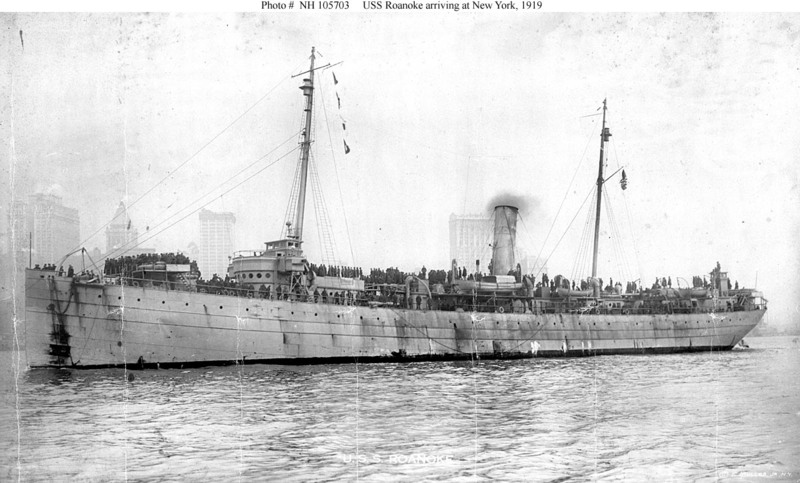 Roanoke, USN 1918-1919 (ex-American S.S. El Dia, 1901). 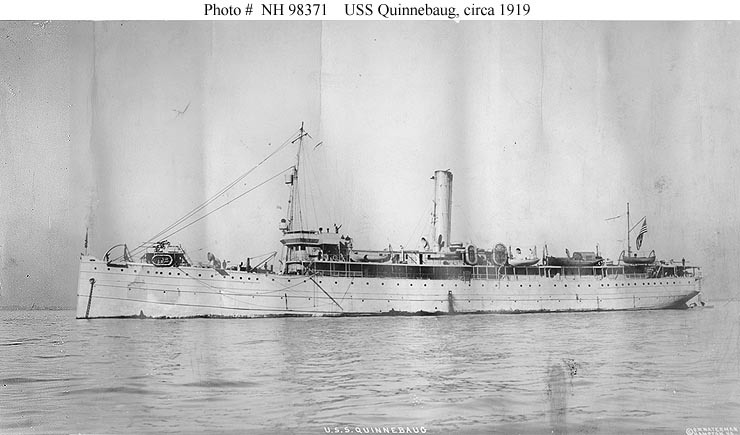 Quinnebaug USN 1918-1919 (Ex American S.S. Jefferson, 1899). Saranac USN 1918-1919 (Ex American S.S. Hamilton, 1899).